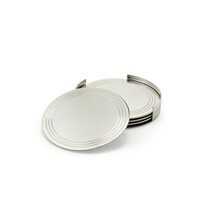 Handcrafted from silver plate over nickel over brass. Our logo is delicately etched at the base. 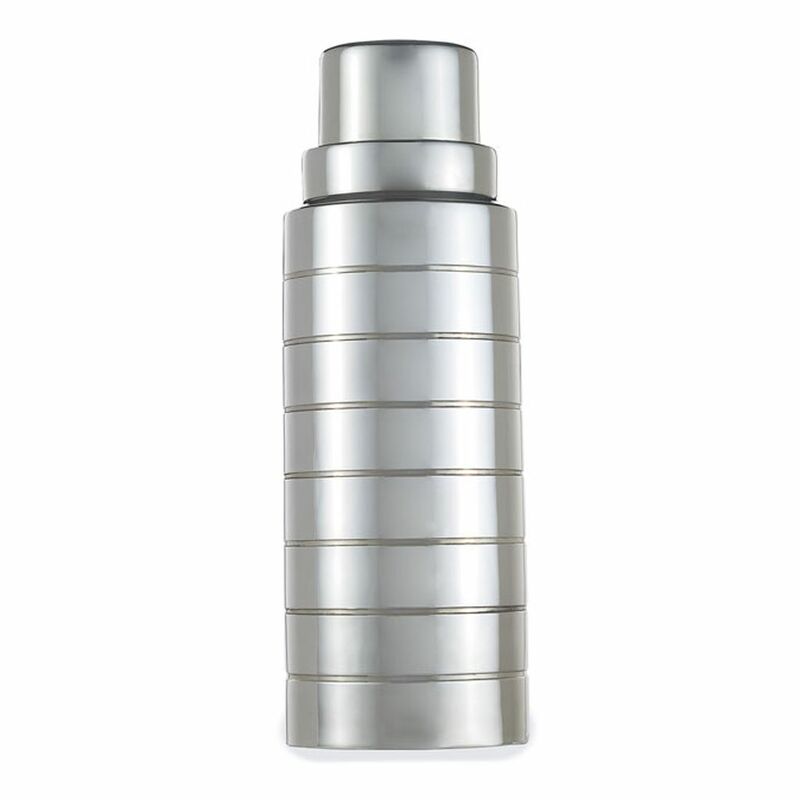 Cap is suitable for engraving (as shown). 9" height. 3" diameter. Imported. 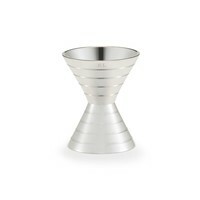 OVERVIEW This sophisticated cocktail shaker is designed with sleek horizontal lines around its cylindrical silhouette.